Glenwood Hot Springs Pool and Spa is the home of the world’s largest mineral hot springs pool. The historic thermal spring water has been drawing visitors from all over the world since 1888. The source of the Glenwood Hot Springs’ mineral water is the Yampah spring which produces over 3.5 million gallons of water per day at a temperature of 122°F. 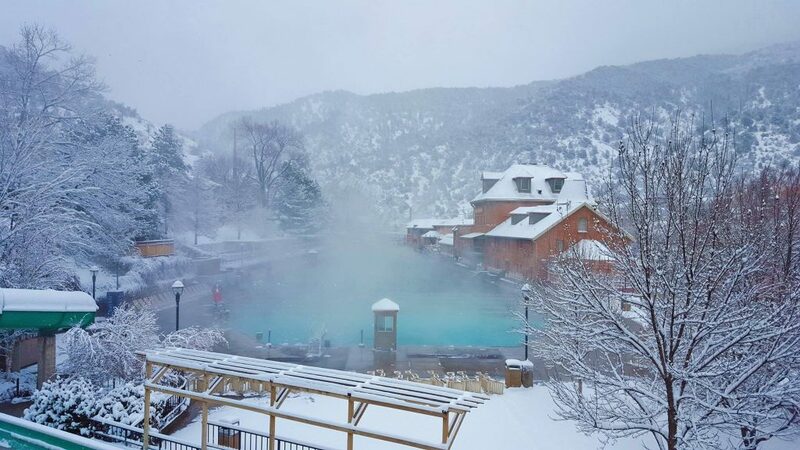 In addition to being the largest mineral pool in the world, the Glenwood Hot Springs Pool is one of the hottest in Colorado. Before the water enters Glenwood Hot Springs’ two pools, it is cooled down to 104°F for the resort’s hot tub-like Therapy Pool and it’s cooled down even further to the bathwater-warm temperature of between 90° – 93°F for the gigantic main pool.